In situ hybridization (ISH) refers to a well-established set of methods for the visualization and detection of specific nucleic acid sequences in whole organisms, cytological preparations, and tissue sections. The technique has witnessed refinements and a significant rise in applications over the several decades of its use and is routinely employed still in laboratories where visualization of gene expression within the tissue of concern is required. In situ hybridization is known to effectively allow for the cytologic and histologic localization of the specific nucleic acid of interest. While the techniques have significantly matured in the present-day scenario, the application of most in situ hybridization techniques was limited to a large extent owing to their inability to detect samples with low copies of DNA and RNA. Advancements in the past few years have led to the development of a number of strategies to help improve the sensitivity of ISH techniques by signal detection after the hybridization is completed or by the amplification of the target nucleic acid sequence before the ISH begins. The market is witnessing advancements at a highly promising pace with the view of increasing sensitivity of in situ hybridization methods. Recent developments such as strand displacement amplification and molecular beacons to continue to expand the scope of application of in situ hybridization techniques. The application of some of these novel techniques has helped significantly extend the scope of utility of in situ hybridization in the fields of research and diagnostic pathology owing to their capability of detecting targets with low copy numbers of nucleic acids in samples. In situ hybridization is a powerful method for localizing specific nucleic acid targets in cells and tissues, thereby allowing access to the temporal and spatial information about genetic loci and structure. Human DNA and RNA can be visualized with the help of in situ hybridization in two major ways, chromogenic (CISH) and fluorescence (FISH) detection. 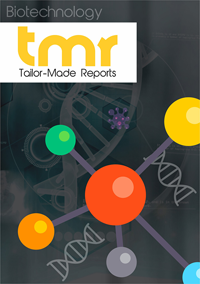 The report analyzes the key drivers, restraints, recent trends, and growth opportunities in the global market for in situ hybridization. The market shares, product portfolios, technological developments, and business strategies of the major players are discussed in detail. The report also sheds light on factors such as market size, supply and demand ratio, market attractiveness, and key segments of the in situ hybridization market. Technological advancements in the field of in situ hybridization, such as development of the cytogenetic technique, is one of the key factors driving the market. The rising prevalence of cancer has necessitated clinical research, which is another major market driver. The introduction of new therapeutic agents has led to a high rate of adoption of companion diagnostics, boosting the overall market expansion. Besides these factors, the growth of the pharmaceutical and biotechnology industry has improved the prospects of the in situ hybridization market worldwide. Florescence in situ hybridization (FISH) can be used in the detection of genetic abnormalities such as aneuploidy, characteristic gene fusion, or loss of a chromosomal region. It is also useful for research in the fields of gene mapping and identification of genetic aberrations, which are responsible for cancer. As this technique is simple yet effective, FISH will ensure the growth of the global in situ hybridization market. On the contrary, strict regulatory policies will obstruct the growth of the in situ hybridization market. However, the emergence of molecular cytogenetics will present significant opportunities due to unmet needs in accurate disease diagnosis, rising number of chromosomal disorders, and surge in population. On the basis of geography, the global market for in situ hybridization can be segmented into Europe, Asia Pacific, Latin America, North America, and the Middle East and Africa. North America holds a large share in the overall market, with Europe and Asia Pacific also exhibiting promising growth. Extensive research activities in countries such as Canada and the U.S., increased adoption of companion diagnostics, and beneficial government policies have been aiding the in situ hybridization market in North America. Over the forecast period 2017-2025, Asia Pacific will undergo tremendous growth on account of growing incidence of cancer and its diagnosis, increased healthcare expenditure, and increasing health awareness among people. The presence of international companies in countries such as India and China will further provide an impetus to the market. The major companies operating in the market for in situ hybridization include Bio Sb, Inc., Advanced Cell Diagnostics, Inc., Merck KGaA, Abbott Laboratories, Inc., Leica Biosystems Nussloch GmbH, Danaher Corporation, and Agilent Technologies. Several companies are using business strategies such as product enhancement, collaborations, acquisitions, and partnerships with a view to increasing profit.